Kenwood were recently called to assess a damp problem affecting a ground floor flat in South London built in the 1900’s. 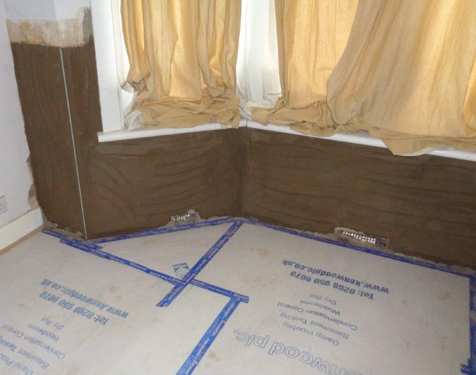 Rising damp was found to be affecting the front bay window and the rear bedroom wall. Following our clients purchase of the property Kenwood were called to carry out the treatment prior to moving in. The wall plaster was removed in the affected areas to a height of 1 metre to reveal the bare brickwork. The mortar course was then injected with a chemical damp proof course. The walls have been replastered using specialist plaster containing, among other ingredients, salt inhibitors to prevent further dampness and fibres to reduce shrinkage. 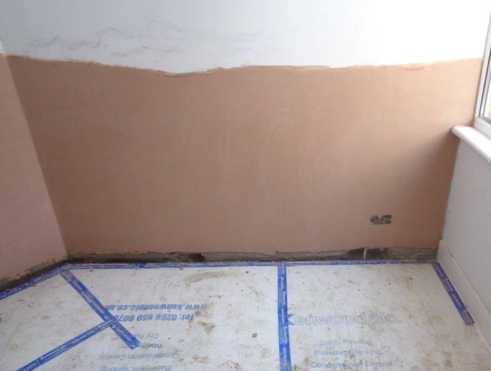 With the walls skim finished to provide a smooth surface our client can move into their new family home free from damp.